Metrolinx’s plan to upgrade transportation infrastructure in Ontario by creating a network of interconnected mobility hubs. In order to make it easier for commuters to transfer from rail to subway, two pedestrian tunnels were planned for the Dundas West-Bloor Station Mobility Hub. The work to construct the tunnels had to be done over two weekends, so commuters already using the Georgetown GO Transit line were not affected. DECAST manufactured sections for the two precast tunnels. The sections were delivered to the job site on Dundas Street just north of Bloor. The tunnel sections (nine in total for each pedestrian tunnel) were produced with ducts for post tensioning bars and electrical services. Each tunnel consisted of straight sections for the pathway under the track and flared sections for entry and exit. 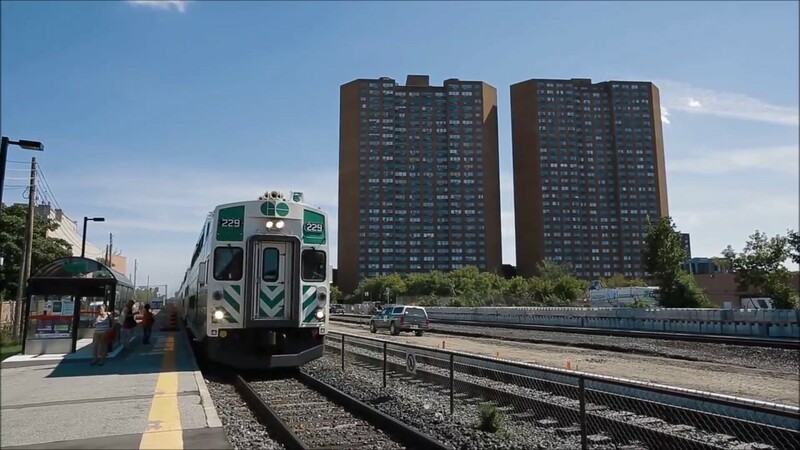 After the last GO Train on Friday night and on two successive weekends in July, the tracks were removed, the area for the tunnel was excavated and the tunnel sections were put in place and post-tensioned. The excavation was backfilled and the tracks were replaced – all set for the Georgetown GO Train to resume service Monday morning.